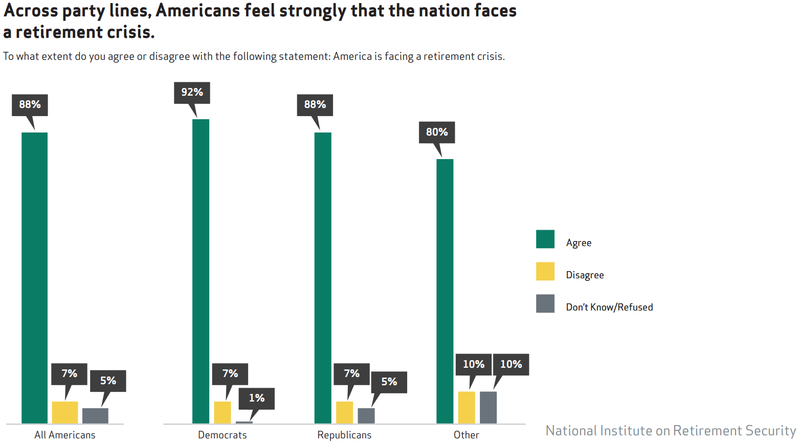 Ninety-two percent of Democrats and 88 percent of Republicans also reported that they believe the nation is facing a retirement crisis, and a majority from both political affiliations expressed doubts that leaders in Washington understand just how difficult it is to adequately prepare for retirement (82 percent for Democrats and 88 percent for Republicans). 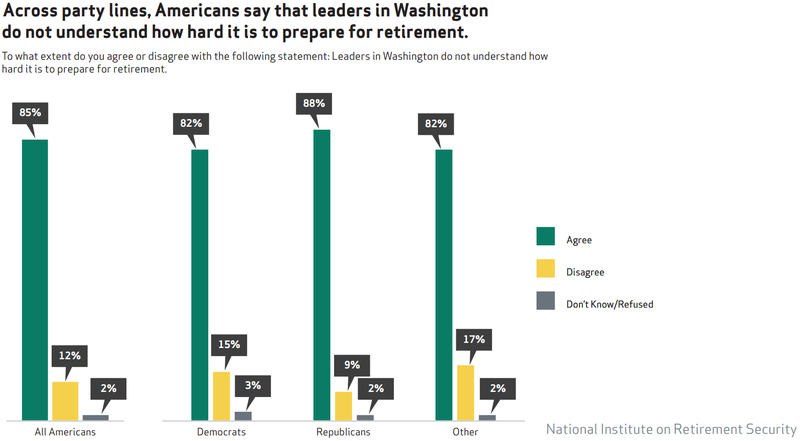 Moreover, 86 percent of all surveyed Americans agreed that leaders in Washington need to give a higher priority to ensuring that more Americans can have a secure retirement (98 percent for Democrats and 82 percent for Republicans). Such concerns are especially important now that we have a new administration and Congress that together are expected to pursue a major overhaul of the U.S. tax system and federal budget, which has the potential to significantly alter how private-sector retirement plans are handled by the tax code.